Pr. 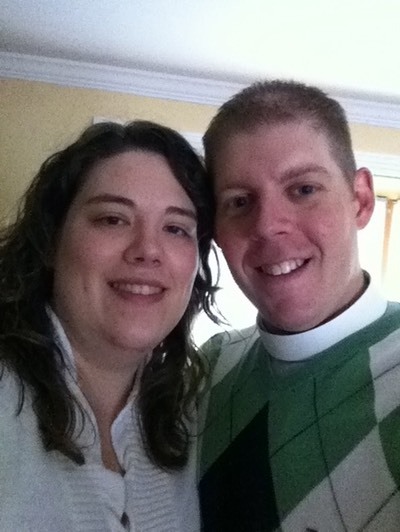 Mike and Stacey began serving HOP and Aliquippa in 2008. They are very grateful to be serving here. Stacey and Pr. Mike hail from here in Western Pennsylvania, about 20 minutes north of Indiana, PA. Pr. Mike grew up in the rural area around Creekside, PA. He has one brother who is two years younger and married. Pr. Mike attended the University of Pittsburgh for his undergrad work where he majored in Psychology. Stacey grew up in the town of Marion Center. She has two younger brothers (4 and 5 years younger). Stacey also went to Pitt for her undergrad work where she majored in Occupational Therapy. She has been serving God as an OT working primarily in nursing homes and now working for LIFE Beaver County. In 2004 Mike and Stacey were married and immediately went off to Columbus, Ohio for seminary. Pr. Mike and Stacey have three awesome little children. They are really big sports fans, especially fans of the Pirates. Mike is also an avid biker and golfer, and sometimes, even plays well!